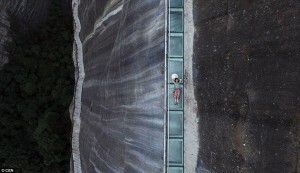 Home » China » World Record Glass Bridge! 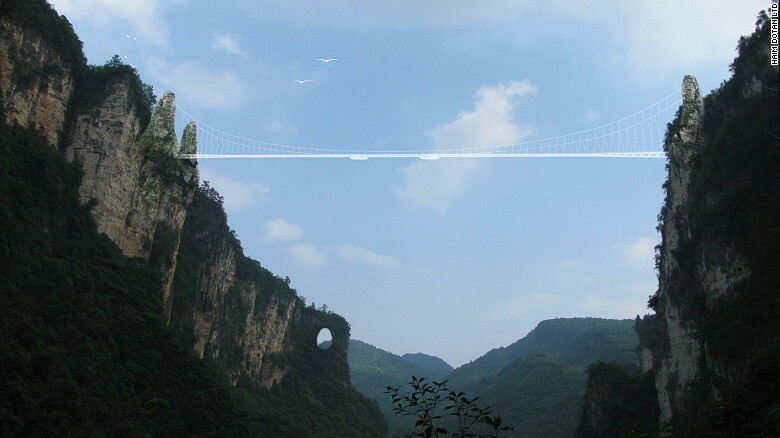 This month marks the opening of highest and longest glass bridge in the world at 430 meters long (1,410 feet) and 300 meters high (984 feet) in the Zhangjiajie Grand Canyon in the Hunan Province of China. And if that is not enough, this bridge also offers the highest bungee jump in the world! The completion of this bridge comes quick on the heels of Haohan Qiao (Brave Men’s Bridge) in Shiniuzhai National Park, 300 kilometers (186 miles) northwest of Zhangjiajie Grand Canyon, which opened September 20, 2015. Haohan Qiao was China’s first all glass suspension bridge at 300 meters long (984 feet) and 180 meters high (590 feet). 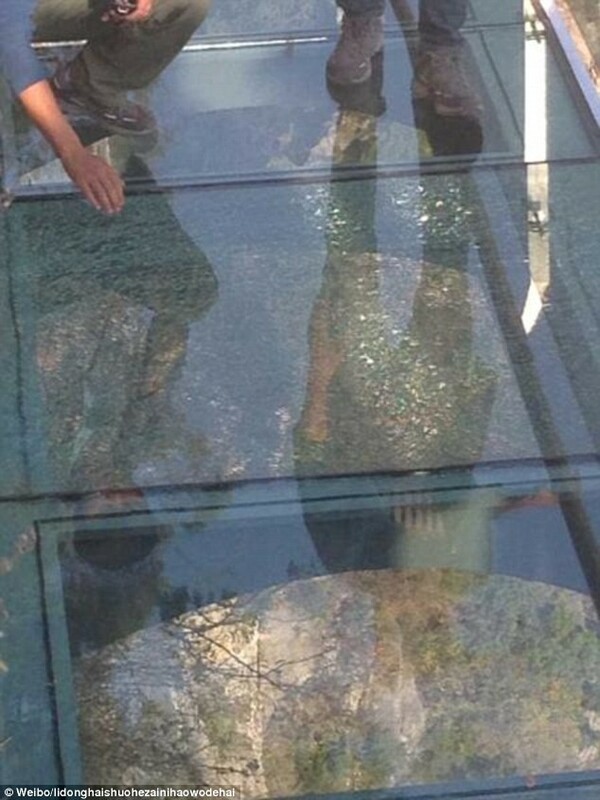 Just two weeks later, tourists panicked when a glass panel cracked on the walkway surrounding Yunati Mountain that is part of the Haohan Qiao attraction. Remember the Titanic? Not to worry though! The glass panes are 24 millimeters thick and 25 times stronger than normal glass. 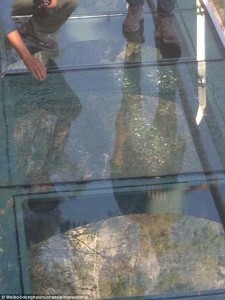 There are also three layers of glass, only one of the layers cracked and did not affect safety. The area was immediately closed and the glass was repaired. 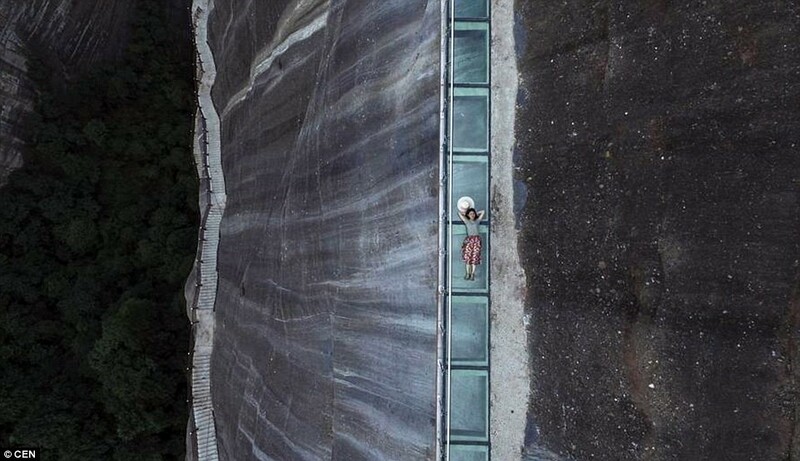 On July 8, 2016, a glass bottomed walkway on edge of a sheer cliff measuring 50 meters long (164 feet) and 597 meters high (1,960 feet) opened in the Wanfo Mountain National Scenic Park in the Hunan Province. Being in the great state of Colorado, U.S.A., that walkway is 550 feet higher than Pikes Peak. Yikes! So, adrenaline junkies and thrill seekers, the Hunan Province seems to be the place to be if you are into vertigo induced terror in incredibly beautiful settings. No wonder James Cameron was inspired by this region for the movie, Avatar! As for me? I am with this terrified dog. Totally.